Do you want to eat healthier this year? 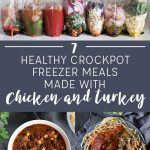 Stock your freezer with healthy crockpot meals! 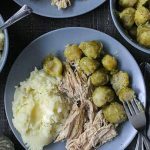 Here are 17 crockpot recipes that I’ve tried myself that don’t contain any added sugar. Free printable recipes and shopping list below. There’s no cooking required ahead of time so they’re super easy to make. 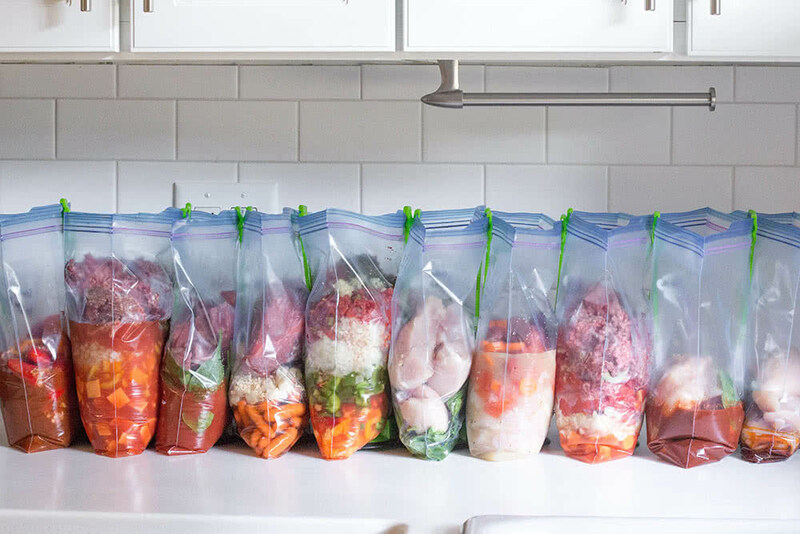 Simply combine the ingredients in plastic freezer bags and freeze for up to three months. They cook for the first time out of the freezer and don’t taste like leftovers at all. I can save money by buying the ingredients in bulk. I have four little kids, so I don’t have a lot of time to cook. (My fifth baby is due the end of this month!) I’ve made hundreds of crockpot freezer meals over the years and I don’t think I would be sane or healthy without them. Since I’ve tried so many recipes myself I thought it might be helpful to share our favorites that are sugar-free. 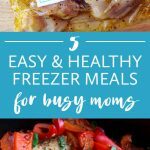 I’m even including a free printable with all of the recipes and a full shopping list. I’ve tried every single one of these recipes myself and can vouch that they’re healthy, delicious, and easy to make. Enjoy, Friends! CLICK HERE FOR THE FREE RECIPES & SHOPPING LIST. NO STRINGS ATTACHED. Hi! 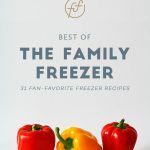 I have what might be a silly question – should I buy frozen or fresh meat for these recipes? I know they’ll ultimately be frozen again, but I wasn’t sure whether the quality suffers if I begin with frozen chicken/beef/etc. Thanks so much in advance! You can do either. If you buy the meat frozen, add it to the bags frozen (in other words, don’t thaw and re-freeze). I prefer fresh meat, but if you’re used to buying frozen it will work just fine. I’m excited to try these! We try to eat very little sugar, so these will be super-helpful. You have such fantastic recipes, and we actually used many this past fall when we went on a week-long vacation. It was so nice to have a healthy, homemade meal ready every evening when we got back from our day’s adventures. Plus, it was so much more economical for our family of 8! Thanks so much!